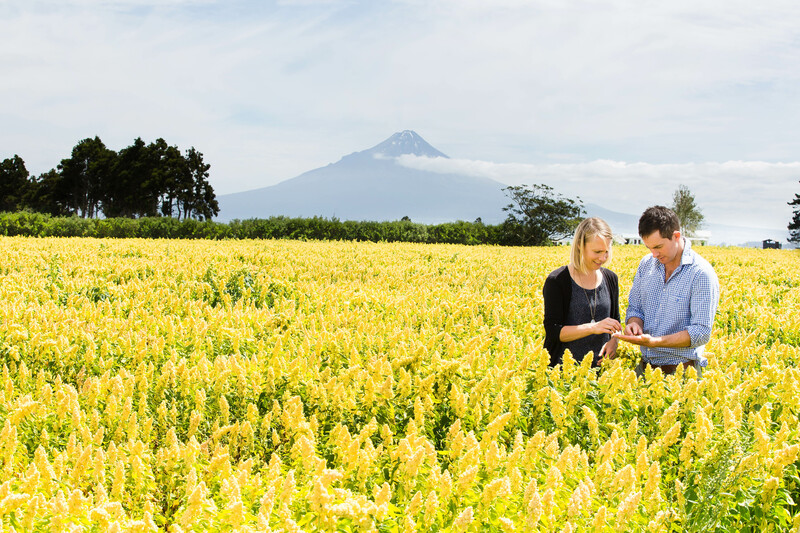 WELCOME TO THE NEW ZEALAND QUINOA CO.
We are Kate and Hamish Dunlop, Kiwi farmers with a passion for the land and looking after it for future generations. 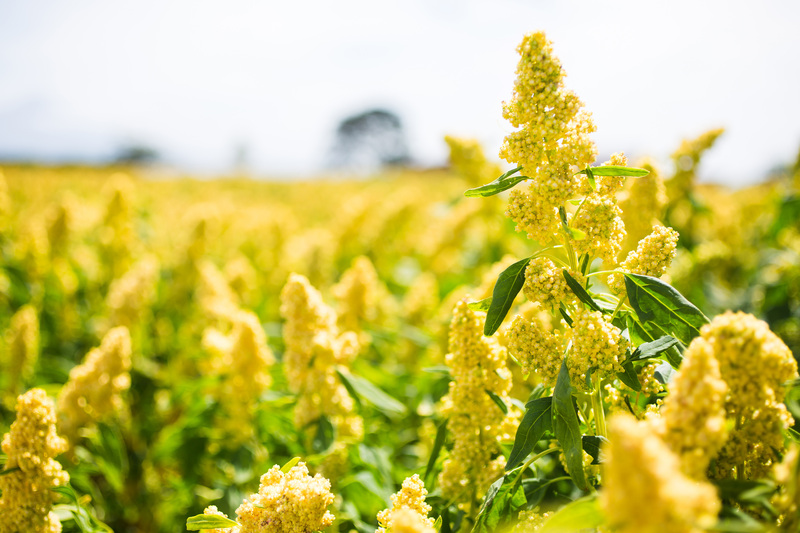 In the spirit of our pioneering ancestors, our family is growing quinoa (pronounced keenwah) – an ancient South American ‘super grain’ with an impressive nutritional profile – right here on New Zealand soil. 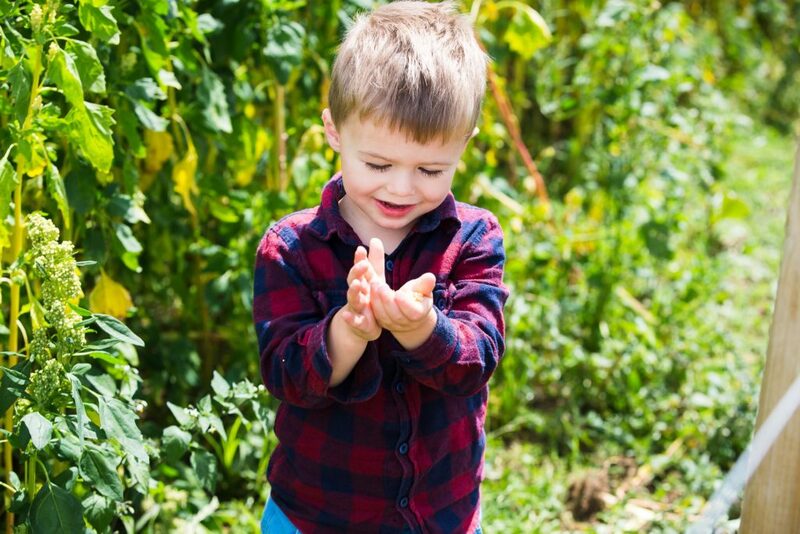 Our quinoa is farmed sustainably by our family with minimal intervention. It is spray free and we do not use irrigation. 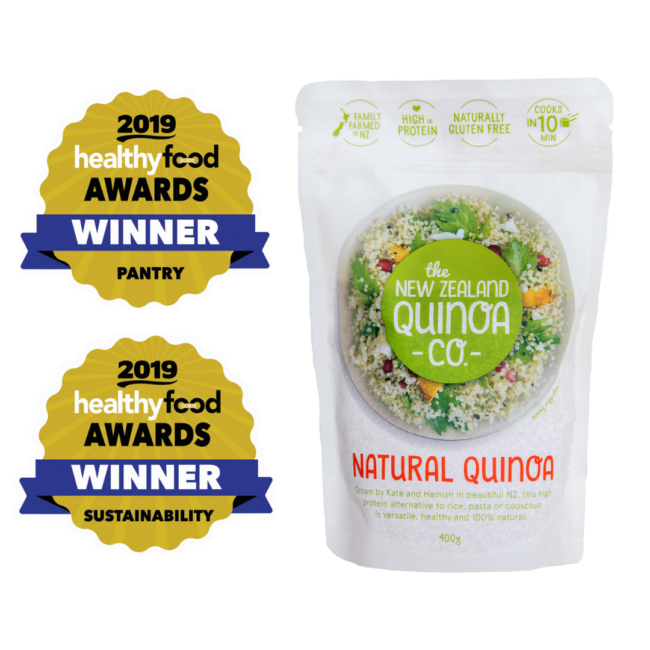 Our quinoa is high quality, cooks fast in only 10 minutes and has low food miles. But most of all, it tastes delicious! 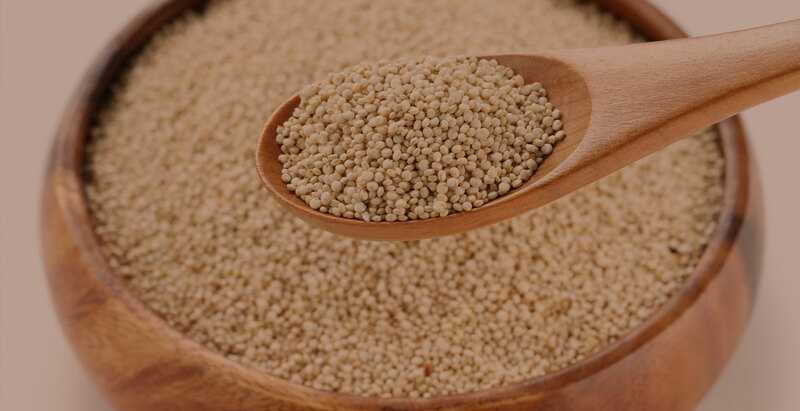 “While no single food can supply all the essential life sustaining nutrients, quinoa comes as close as any other in the plant or animal kingdom.” – NASA. Our quinoa is high quality. Farmed on beautiful NZ soil by a farming family who understands and cares about the land, not some big corporate or overseas money maker. High in protein, naturally gluten free, GMO free and a great source of dietary fibre. It contains minerals including calcium and magnesium as well as antioxidants and vitamins. It's low GI, a great anti-inflammatory as well as a complete protein. Farmed sustainably with minimal intervention. We use no irrigation or sprays on our quinoa and it has low food miles. Also, we love to give back. WHAT ARE SUSTAINABLE FARMING PRACTICES? Sustainable farming practices, in simple terms, are farming techniques that protect the environment, public health, human communities and animal welfare. It is a form of agriculture that enables us to produce healthy food without compromising future generations’ ability to do the same. Farming using sustainable practices basically means we care. Us Kiwis are a caring bunch and here at The New Zealand Quinoa Co. we are no different. Your support of our quinoa enables us to donate quinoa to organisations and charities that help feed those in need. What better way to nourish people than through a seriously nutritious, natural product. If you know of a charity worthy of our support, please get in touch with us.